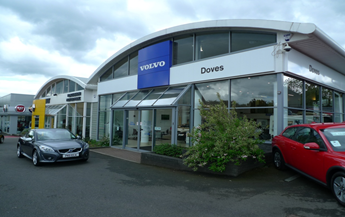 The freehold property comprises a car dealership arranged as two showrooms, each served to the rear by workshops, staff facilities, ancillary office accommodation and mezzanine storage. The total site area is 37,534 sq ft, equating to a site coverage of approximately 65%. Both showrooms are of steel frame construction with full height glazed frontages beneath an arched shape sheet-clad roof. The specification of both the showrooms and the offices is basic. The workshops, which have an eaves height of 6.3m are also of steel frame construction with block work elevations and a metal clad roof. The site is secured by a 7 ft perimeter security fence and CCTV. Sale of property at a premium price to the sitting tenant. This was orchestrated by placing the property in the Allsop auction catalogue, encouraging the tenant to make an aggressive offer and close the purchase quickly.